Olivia joined the Rokstone team as Head of Lettings to set up Rokstone's newest department with almost eight years experience in the industry. 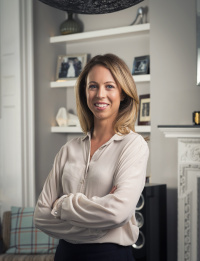 From being the top lettings negotiator several years running at Hamptons International, she then went on to set up the London Lettings Department at UK Sotheby’s International Realty. In her spare time she enjoys keeping fit, travelling and learning about new cultures, as well as trying out exciting restaurants home and abroad.